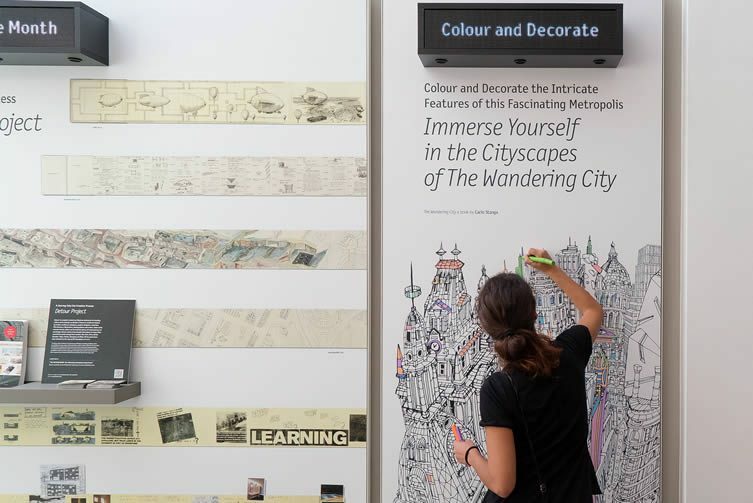 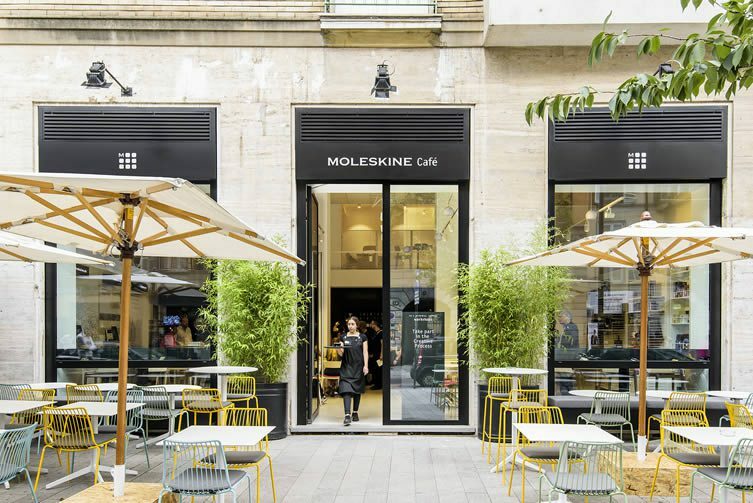 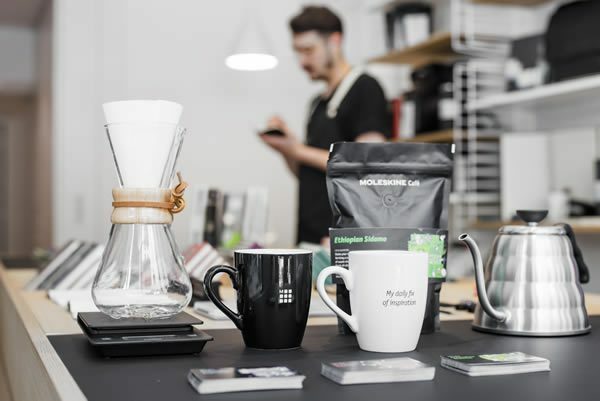 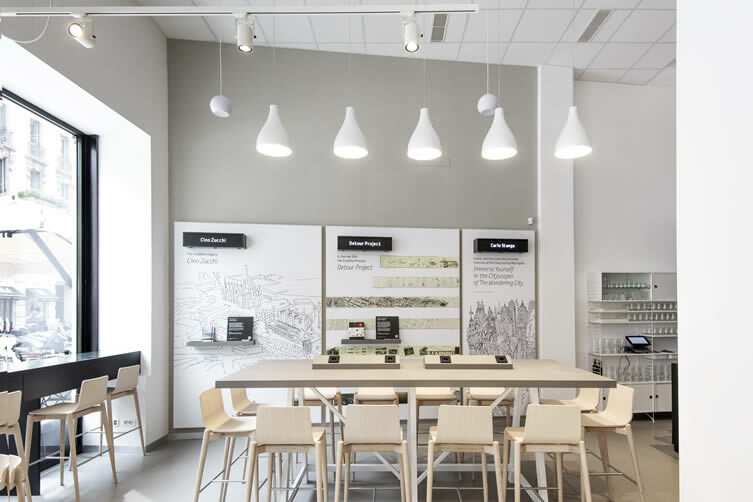 Harking back to the literary cafés of the Age of Enlightenment — a philosophical movement that dominated the world of ideas in Europe in the 18th century — the Moleskine Café fuses café, art gallery, store, and library under one very modern roof. 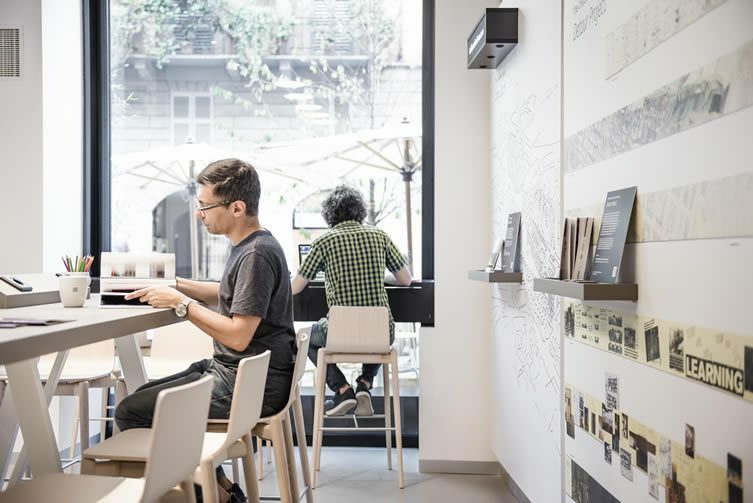 Located in the Brera Design District of Milan (the hometown of the world-famous notebook), the café is set over two-levels with floor-to-ceiling windows, clean aesthetics, and a contemporary colour palette of neutral colours; visitors in contact with a mix of energising and soothing experiences depending on where they choose to pass a little time. 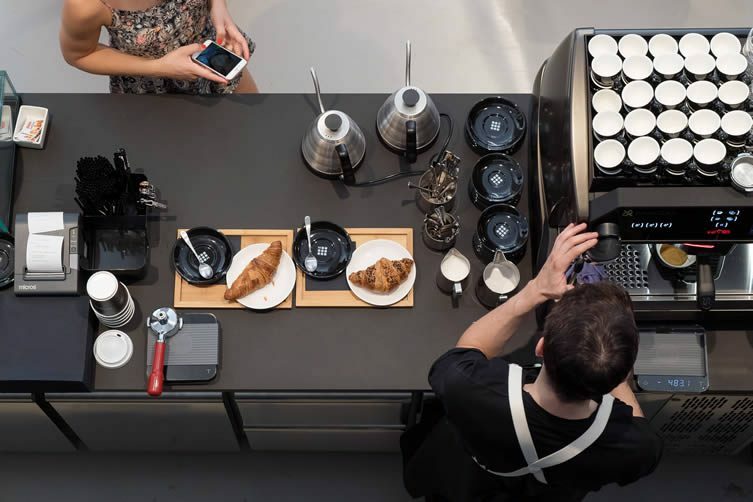 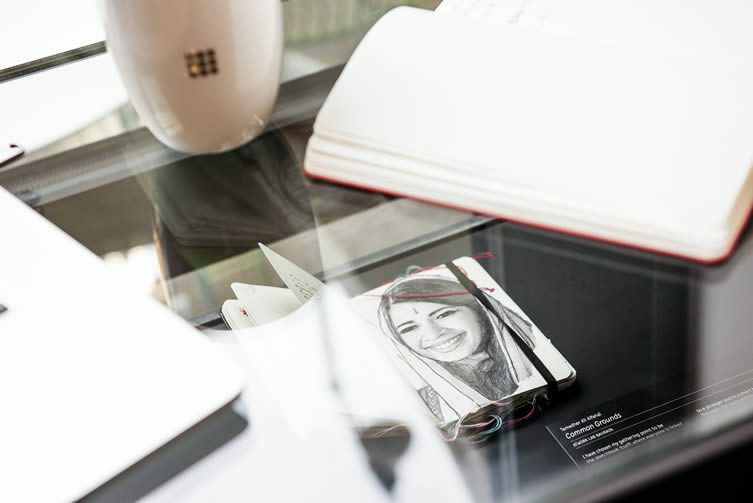 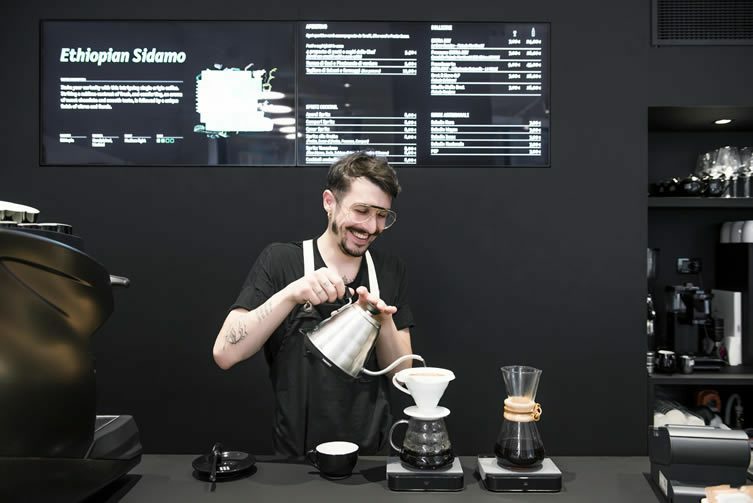 A concept devised in collaboration with brand consultancy Interbrand, the ground floor bar serves coffee by Milan-based coffee roaster Sevengrams — served in Moleskine cups and mugs — and is a sure fire way to kickstart your day’s note-scribbling. 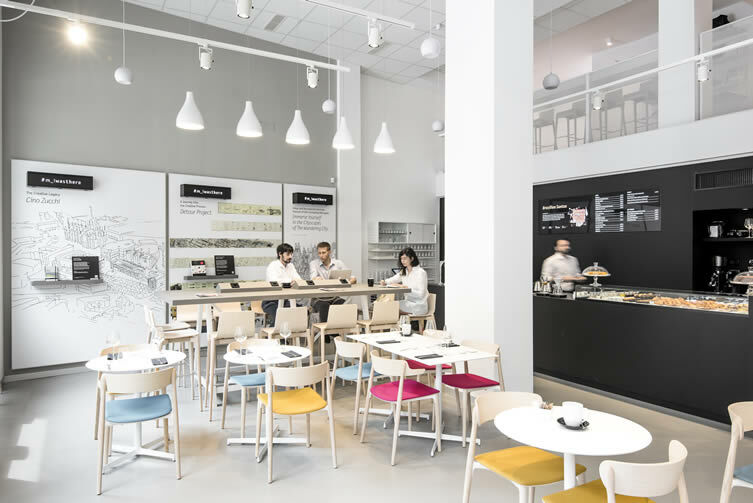 Art shows and workshops take place year round, and an outside terrace opens up onto quartiere’s design-conscious streets — whilst, in contrast, the mezzanine adorned with sofas is a spot for relaxation, musing, and hushed conversations. 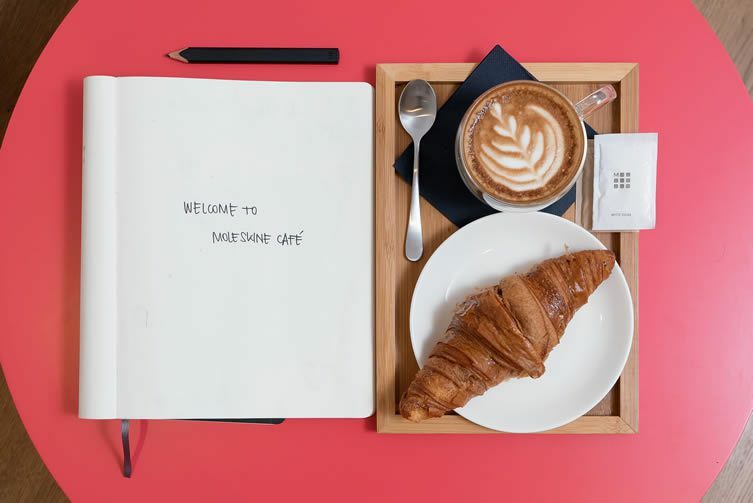 The first of a new concept (following a pilot Moleskine Café in Geneva Airport) that is set to be rolled out internationally, CEO Arrigo Berni boldly declares: ‘it’s an important new step in our journey to realise the full potential of Moleskine as the lifestyle brand of the creative class.’ We’re making a note of it.